Offering a salon services menu can introduce your clients to new options that might appeal to them. Salon price lists are a great way to introduce your services to new clients. While cosmetology courses teach you the tools of your trade, inviting new clients to become customers is part of what keeps you in business. For many cosmetologists, the trickiest subject is telling clients what they charge. There are different ways to achieve this without angst. One way is to utilize price lists. This up-front approach is something that clients enjoy immensely. What is the best way to present a price list to clients? While you can always wait for the client to ask what they owe you, this approach leaves something to be desired. Rather, post your price list at the front desk or have flyers created. One benefit of a flyer is that it can serve a dual purpose. You can give clients extra flyers as they leave the shop to hand out to friends, or you can put them on car windshields if you wish. Getting the word out that your shop is the go-to place for getting a multitude of services helps draw new clients or entices old ones to try new things. Maybe you’ve been using the same price list for quite a while and have just been reordering automatically when you get low on your supply of flyers. Before ordering, take the opportunity to look over your list and make changes, so it will be more appealing to current and potential clients. Not everything has to be in simple typeface and stay the same year to year. In short, jazz it up. Specialize in great coloring? Feature this option in your price list. One of the wonders introduced over the internet is templates for everything you can think of and this includes salons. Why not go a little wild with a new design, that pastel pink you love everywhere or cute descriptions of your services. 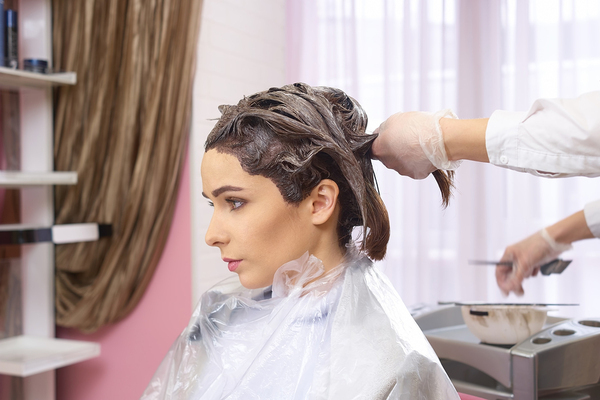 While including the price for a particular service, add a little extra information like the amount of time it takes to color hair, do a manicure, or another service. 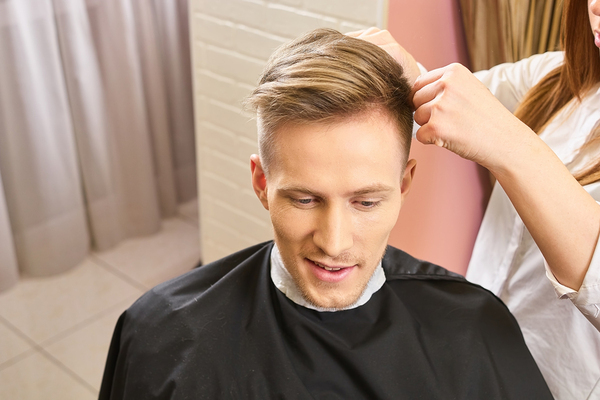 If the bulk of your trade is haircuts, then why not place this service at the top of your list instead of halfway down? You can even highlight your special services such as those for bridal parties to bring attention to them by adding a colored border or another enticement to make it stand out. If you have a high male clientele, it might be a good idea to use colors and schemes that are attractive to both sexes. Many salons are unisex, so don’t go overboard on the pink frills if you also cater to males. Make your color and design appealing to them too. Of course, you want to be able to get a little creative when designing your salon services menu. However, if you get too chatty, it can be a turn off to clients. If they wanted a book or magazine, they would buy one. Informative but short is a better idea, and clients are more likely to keep the copy instead of tossing it in the trash at home. Using “Suzie Q Salon Price List” gets the point across but isn’t the most creative way you could phrase it. Listing your salon name and referring to your price list as a “Salon Menu” or “Menu of Services” can be combined with stylish graphics, color, and fonts to create an appealing list of options. At Beauty Academy, we offer the continuing classes you need to stay on top of the beauty business. Our cosmetology courses take the stress out of continuing education and are pre-approved and offered for various states. Whether it’s cosmetology, barber, nail tech courses, or massage therapy, we’ve got you covered with reasonable prices and good service. Check out our courses to see what we have to offer.